Enterprise adoption of cloud will accelerate in 2019. That’s according to Forrester’s 2019 Cloud Computing Predictions, which sees cloud as no longer the preserve of small and medium businesses. In fact, the firm reports that some 60 percent of North American enterprises rely on public cloud platforms. It’s not just one platform; a study by 451 Research found that 70 percent of enterprises surveyed utilized a multi-cloud deployment, while researchers at Wikibon predict that multicloud strategies could account for as much as 90 percent of cloud budgets. And, a significant proportion of cloud spending will go into private cloud deployments, according to both Forrester and Wikibon. The increasing level of enterprise interest is partly a recognition that legacy infrastructures are simply not capable of supporting the agility that enterprises need to meet rapidly changing market demand and competition from smaller, more flexible competitors. That’s putting a greater emphasis on efficiency gains. But, while digital transformation remains a key strategy for enterprises, there’s a shift away from major long-term projects to smaller, quicker changes within the overall strategy. These smaller changes focus on the customer service and efficiency gains that are essential to success. However, security remains a concern, particularly for mission-critical enterprise applications, and that’s driving enterprise adoption of multi-cloud solutions with private cloud continuing to play a key role in the mix. Enterprises are building on their existing data center infrastructures and adopting many of the techniques developed by public cloud providers. They are taking advantage of automation and AI technologies to speed up migration and simplify management. While private cloud is likely to remain a preferred solution for core business applications, public cloud offers enterprises a cost-effective solution for line-of-business applications and services that drive employee productivity. Although managing multi-cloud environments has proved challenging in the past, rising adoption levels is driving new developments in inter-networking and orchestration of services across multiple clouds. That makes a multi-cloud strategy more attractive to enterprises. Enterprises also recognize that cloud provides a platform for faster innovation and greater collaboration with their ecosystem of suppliers, distributors and business partners. Forrester comments that cloud migration isn’t just a solution for reducing costs — it provides a platform for turning ideas into great software. And that, say the firm, will make cloud first choice as the enterprise digital application platform. Measuring cloud’s success in that area will require a different set of measures — metrics that demonstrate return on innovation, according to one commentator. Those measures will focus on factors such as developer satisfaction and time to market for new services. Delivering new products and services also depends on closer collaboration with suppliers, business partners and distributors. Enterprises are taking advantage of the cloud to increase secure interaction with their ecosystem, making it easier to share data and manage joint development projects. Cloud vendors are supporting this trend by developing specialist industry solutions for sectors such as healthcare and financial services. 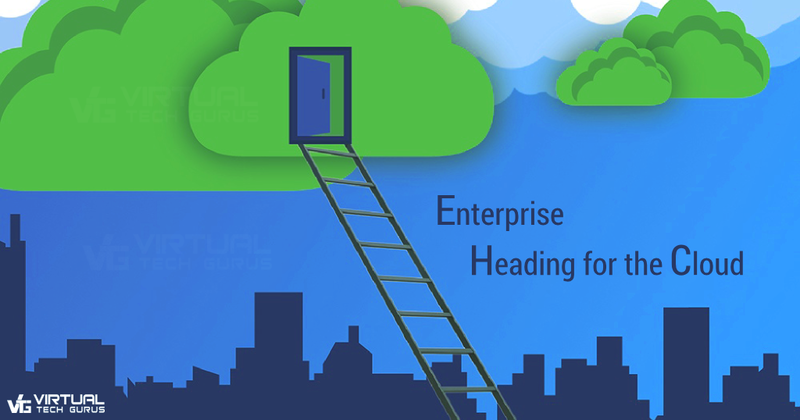 The cloud is becoming increasingly important for enterprises that want to improve innovation and efficiency. If you would like to know more about our cloud engineering and migration services, please check out the articles and infographics on our website.